create an installer on a bootable USB flash drive, for those clean installs. Well, it's pretty cool that Microsoft apparently uses Akamai by default for such big (3.4GB) downloads, greatly accelerating the download for folks across the globe, without having to jump through some hoops. How do I know? Simple, on Windows 8.1, I opened Task Manager, clicked on Resource Monitor, then headed on over to the network tab. There it is, you can see those bits are flying down over the global Akamai CDN (Content Delivery Network), instead of from some distant Microsoft server, pictured below. 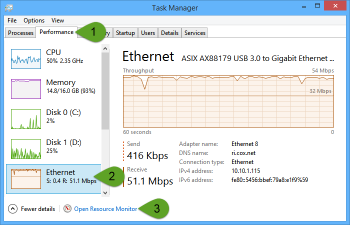 And finally, the big moment in this video segment, where I show how very fast things can get when three downloads are kicked off, using Akamai's Download Manager, all the way up to 170Mbps. Nice! If you have issues with getting Windows Update to give you the latest preview, turn Fast Ring to Slow Ring, then back to Fast Ring, then Check for Updates again. but I haven't tested that (yet) for 10240. 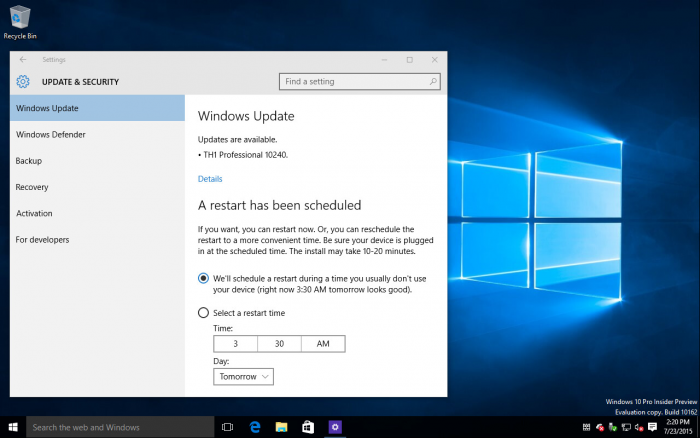 If you're trying to get your earlier build to upgrade to 10240 using Windows Update, it seems to be more inclined to offer you this overnight. See related discussion here.